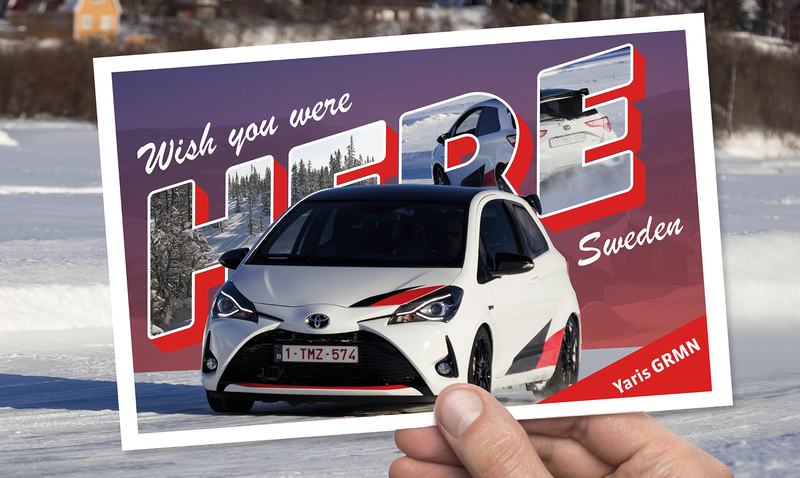 Postcard from… is a series bringing you closer to the action of Toyota’s launches and events across the world. In this blog our reporter heads to Sweden for a unique drifting experience. We were heading to northern Sweden. After getting off the plane we clambered into the warmth of the taxi and drove through some of the most amazing views I’ve ever seen. Winter in northern Sweden, with its frozen lakes and -17 degree landscape dusted with snow, is truly beautiful. Our destination was one of those infamous frozen lakes, to take part in a driving experience like no other. 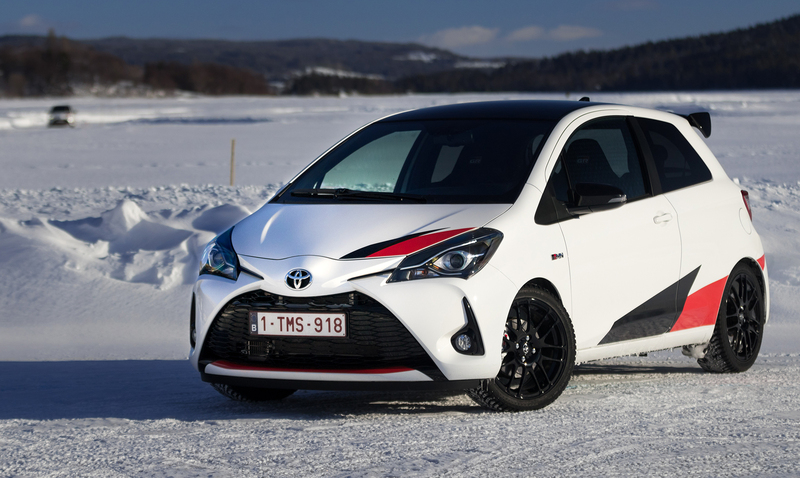 Greeted by an instructor and a fleet of Yaris GRMNs and GT86s, we were pointed in the direction of the solid body of water and given a few activities. First, the basics. This involved being shown how hard the snow banks lining the course were before performing a brake test – the aim of which was to avoid contact with the ‘moose’. Some of us were better at this than others, while some were a bit late on the brakes but man and metal managed to get through to the other side unscathed. The second challenge was a three-corner course, where the handbrake was essential in getting us through a tight slalom. The course ended with a flourish – a handbrake turn into a parking bay. Ripping and sliding this frozen course in the GRMNs was serious fun – and not something you do every day! 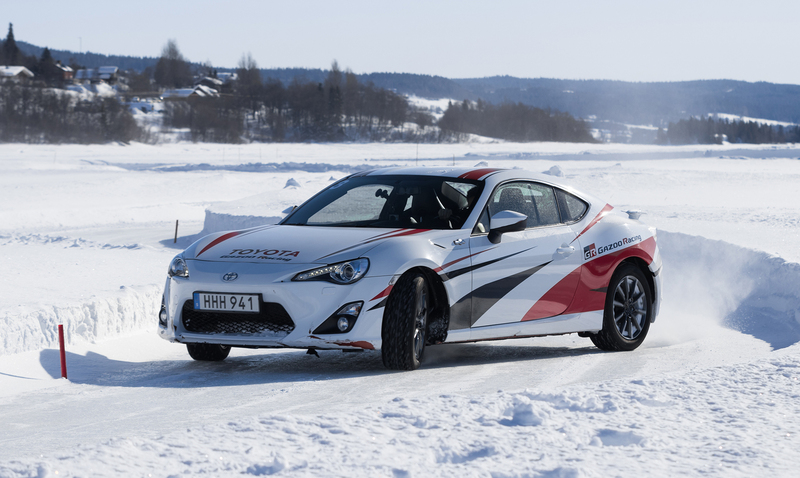 The next morning we returned to the lake for some rear-wheel drive action, this time in the GT86. Things started relatively easily with a three-cone drift challenge, which gave us a chance to get used to the cars and conditions. 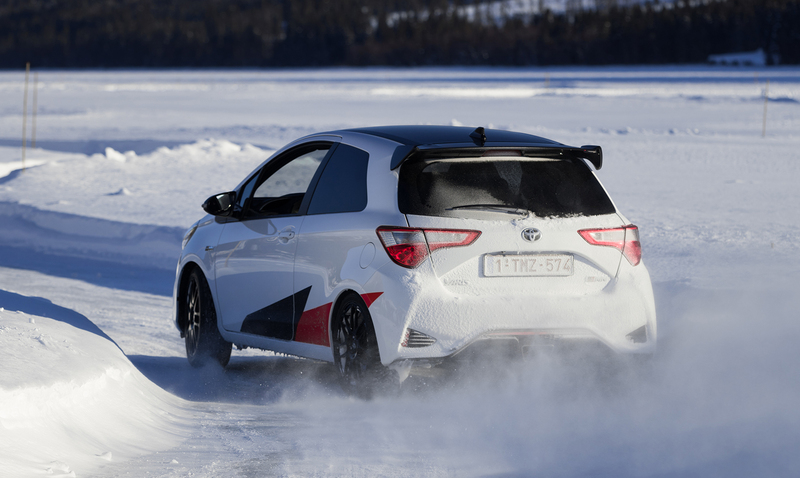 Unsurprisingly, finding the limit and catching a drift on ice is completely different to being on high-grip asphalt. As confidence built, so did our skills. 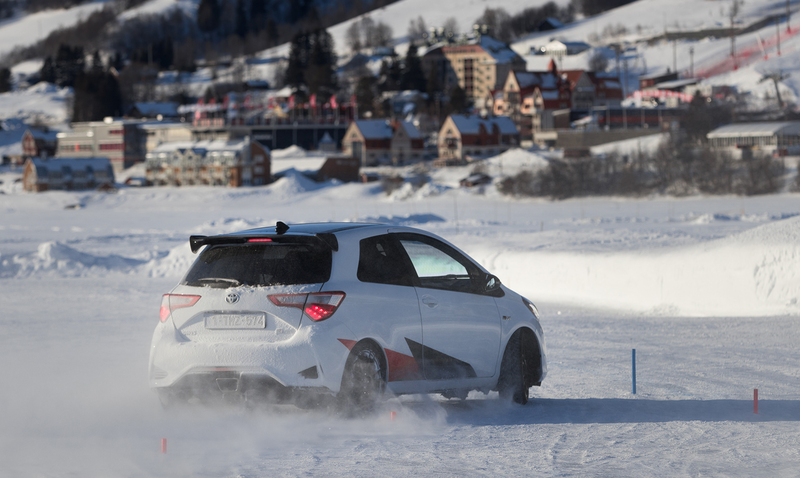 Toyota’s instructors taught us how to transition and even let us loose on some different ice circuits. Best of all, we managed to complete some tandem drifts – two cars drifting within metres of each other. During our time in Sweden all of the team managed to gain new skills on the ice and had a great laugh while doing so. 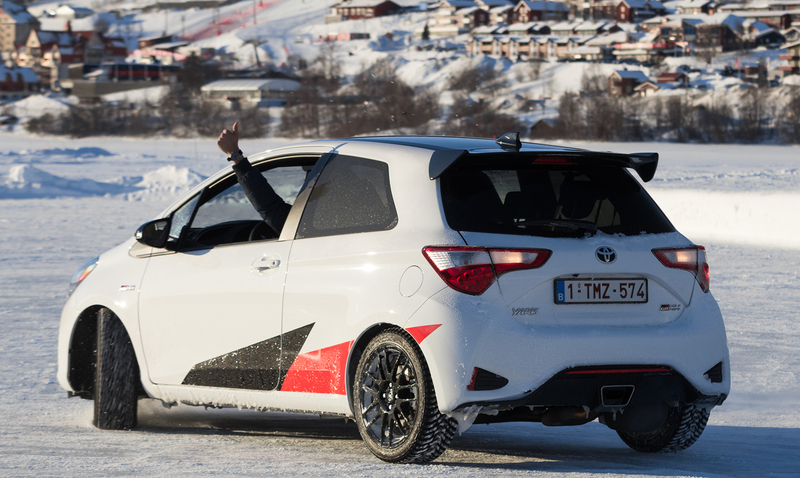 It turns out the Yaris GRMN and GT86 can put a beaming smile on your face when sliding around on ice, too. It was a brilliant learning experience in what must be one of the most beautiful winter landscapes I’ve ever witnessed.